I'm eager to dive into this new food history/cookbook, Dictators' Dinners, when it comes out in the US on March 18. (It's been available in the UK for about four years now). 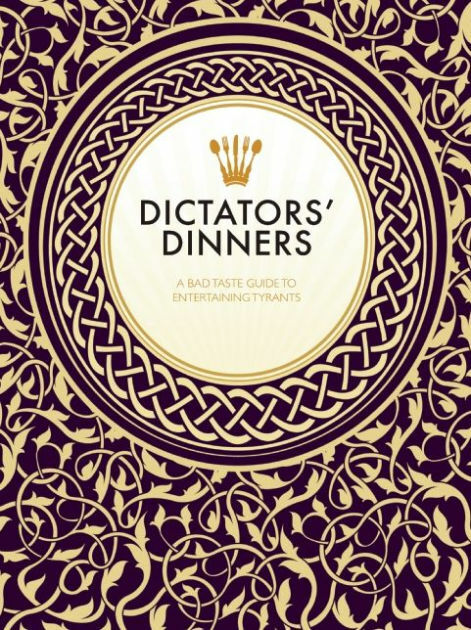 Dictators Dinners is an investigation into what some of the world’s most notorious 20th century despots have enjoyed most at their dinner table, and with whom. Here we learn of their foibles, their eccentricities and their frequent terror of poisoning - something no number of food tasters was ever able to assuage. • An outline of the dictator’s history. • A short essay on their particular eating habits, table manners, digestive systems. • One or two of their favourite recipes. Shop for Dictators' Dinners on Amazon, at Barnes and Noble, and on eBay.